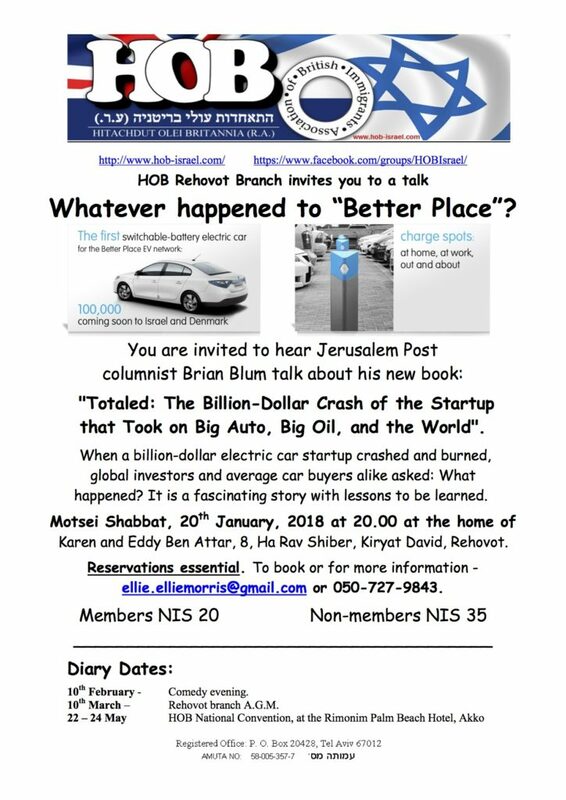 The next stop on the TOTALED book tour will be in Rehovot at a meeting of the Hitachdut Olei Britannia – the British immigrants’ association Rehovot branch. Space is limited and reservations are essential. Write to: ellie.elliemorris@gmail.com or call 050-727-9843. More information at the HOB website or the HOB Facebook page.